She was a pretty lady born in Colombo and employed in a Government Institution related to the Tourism industry. A staff officer attached to the office was interested in her and she liked him because of his kind and humble qualities. She got a Greeting Card from him. It was mentioned in the card that it was sent because of ‘bearing the burden of 10 months’. 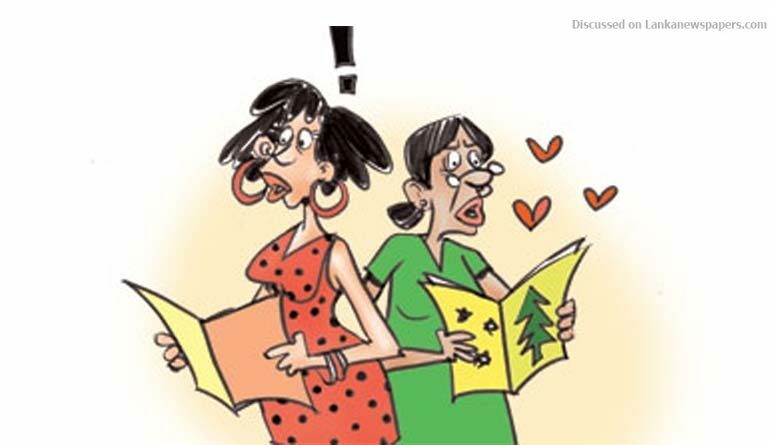 Not so proficient in Sinhala, she asked one of her friends as to what the ten months he was referring to as not even three months had passed after his getting friendly with her. He realised what had happened. The Greeting Card that was sent in memory of his mother’s birthday had been received by his girl friend and the Christmas card sent to his lover had been received by his mother. The incident happened in Ratmalana area.